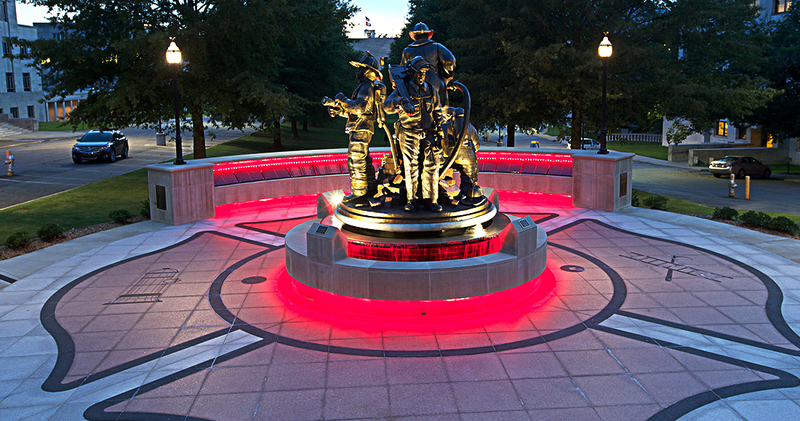 The Arkansas Fallen Firefighters memorial was designed to honor the men and women who have given their lives in the line of duty. 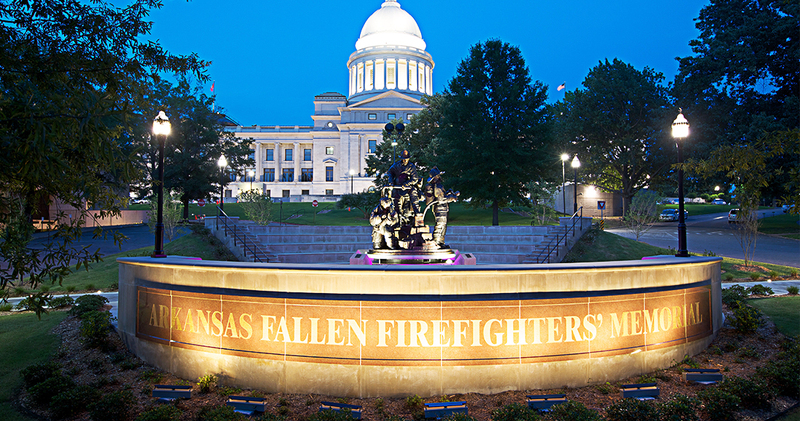 This memorial is sited on a predominant location on the State Capitol grounds. The design includes the names of the fallen men and women, but also honors all who serve their community with a bronze sculpture centrally located within the memorial on a pediment water feature. Additionally, there is an amphitheater which seats 100 people for special events. 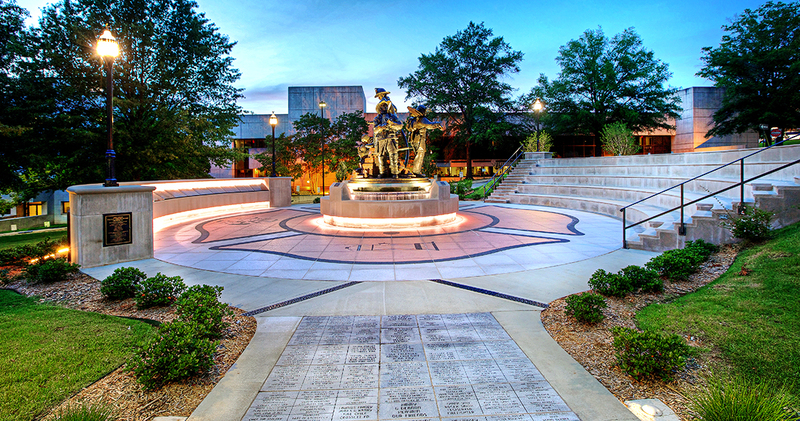 The ampitheater and memorial wall are compoased of limestone; the paving is constructed of white granite with a braonze Maltese cross in-filled with red granite. Memorial names are engraved in black granite slabs. 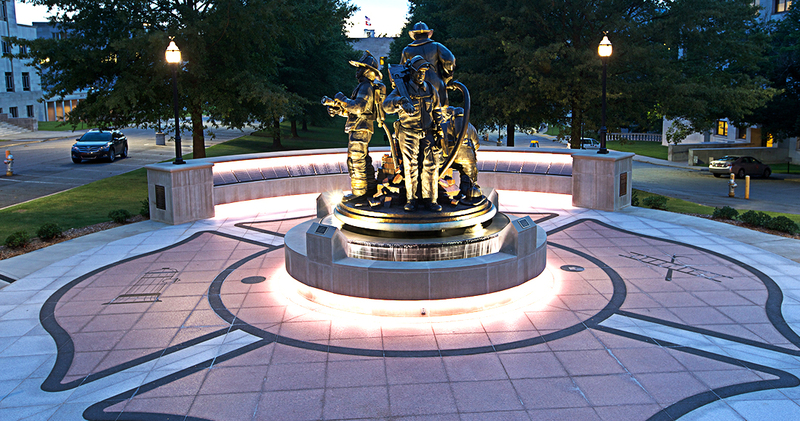 The sculpture is composed of four larger-than-life figures, representing a centered historic firefighter holding a hozzle, which dispenses water into the fountain. The figure is surrounded by three others, representing a modern firefighter, a forest service firefighter, and a female firefighter paramedic holding a child.